Best Kids TV Shows 2017 - Dad F.C. We’ve discovered what dads absolutely detest when it comes to kids’ TV, now it’s time to find out which kids’ shows hit the spot (or are at least bearable). 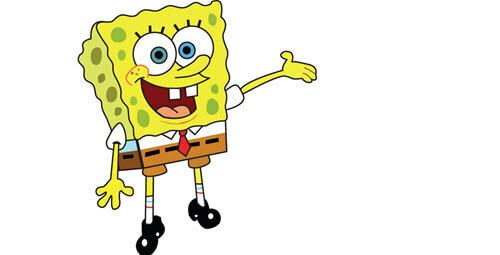 One for adults to enjoy just as much as children do, SpongeBob SquarePants and his friends in Bikini Bottom definitely tick the box for us dads. 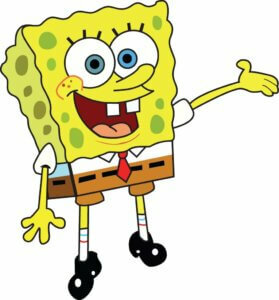 It’s one of the biggest Nickelodeon shows of all-time and now has a Dad F.C. runner up award to go alongside it’s 2 Emmy’s. 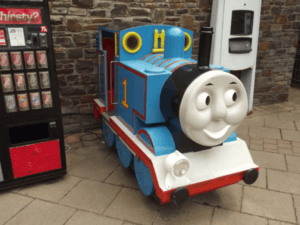 Thomas was recently spotted hanging around vending machines at a service station by a Dad F.C. fan. He declined a request for an autograph. The absolute legend of British children’s TV, Thomas the Tank Engine has been steaming his way across our television screens since 1984. Based on the books written by Reverand Wilbert Awdry, who originally told the stories to his son who was recovering from measles, the nostalgic locomotive from our childhood is clearly a big hit with today’s children too. UK dads’ fave kids’ TV show! What could be more exciting than a team of rescue dogs and their pal, Ryder, heroically protecting their community? Well, it appears nothing could be more exciting. Nickelodeon’s PAW Patrol, created by Canadian Keith Chapman, first aired in 2013 and has had kids and parents glued to screens for 4 seasons and 90 episodes so far. So why watch another episode of Peppa Pig or some other cartoon which drives you barking mad, when you can settle in for some exciting canine capers with our winner of the best kids TV show: PAW Patrol.